This feels like an important record for the Blues man from Hertfordshire. Having lost a good friend plus his father last year, this album sounds like Danny Bryant's way of finding therapy. If you've followed his music, you'll know his father was also his bass player so that tight bond of father and son, who also shared a life on the road together, must now be a large hole in his life and this informs much of the material. The lyrics are dark and there is an apocalyptic feel to the material, like the title track and the Deep Purple-influenced 'Liars Testament' where Bryant sings "I believe times are desperate" and he really means it. Even his choice of cover, John Mellencamp's 'Someday Rains Will Fall' played acoustically, offers no let-up from the despair. However, there are glimmers of light in there too, especially when he's joined by his big band who come in swinging gloriously on 'Truth Or Dare' and 'Sister Decline' which is at the crossroads between Hard Rock and an old-school Blues shuffle. There are some strong guitar ballads too; 'Isolate' is the kind of track Joe Cocker would have made a hit in the eighties. Here, Bryant allows himself to stretch out his solo, wringing out the emotion. He makes his guitar weep on the Howlin' Wolf and Stevie Ray Vaughn old chestnut 'May I Have A Talk With You', while 'Yours For A Song' gives power ballads a good name for a change. He's willing to mix up his sound, adding horns, trumpet and keyboards, all of which are well handled by his go-to producer Richard Hammerton. His tribute to his father, 'Shouting At The Moon', is atypical, a throwback ballad that Roy Orbison could have had a stab at. Keyboards underpin the song and the chorus has Bryant doing a high Falsetto, something which I'm not sure entirely works. Despite this, there's no doubting how heartfelt it is. 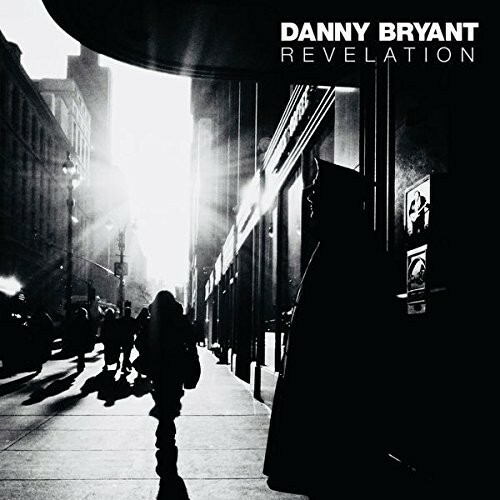 In the past, I've loved Bryant's fluid, emotional playing, but occasionally felt some songs fell into cliché; however, by connecting so directly with his demons and depression this time around, that accusation withers away. His old man would be proud to see him fighting on as he finds new ways to develop as an artist. Here's hoping that Danny Bryant's personal fortunes are on the way up.